I had some excellent food experiences during this year’s Festival period, with an influx of really impressive street food places proving particularly good. Things are looking up for December dining, too, with the arrival of another invasion of little wooden stalls, with St Andrew Square the main focus. There are some familiar faces with Tony Singh back with his patented charm and high-octane dishes (I saw mention of something called Yeti’s Blood in the hot chocolate), and Laughing Stock, who had a number of stalls on Bristo Square during August, returning with a sausage stall. 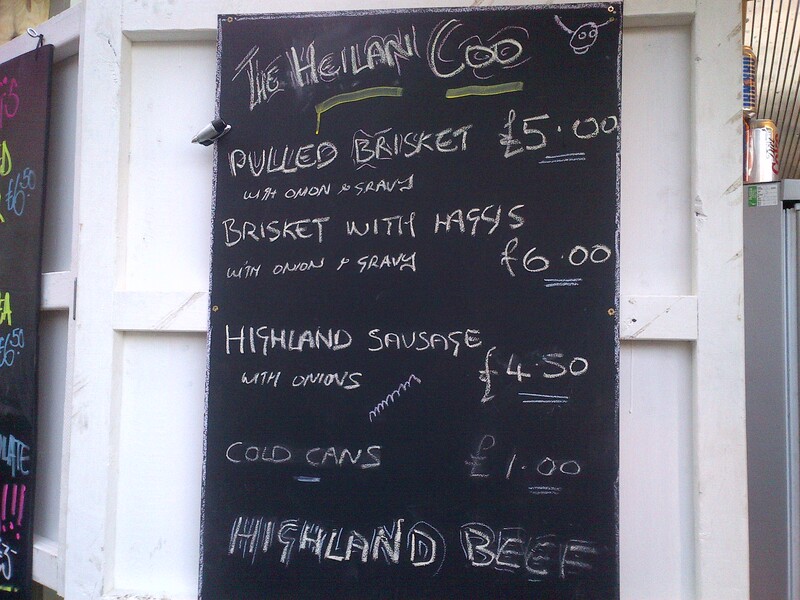 One of the newcomers is Heilan Coo, showcasing aged beef from that much-loved hairy breed of Highland cattle. I stopped there for a visit, today. 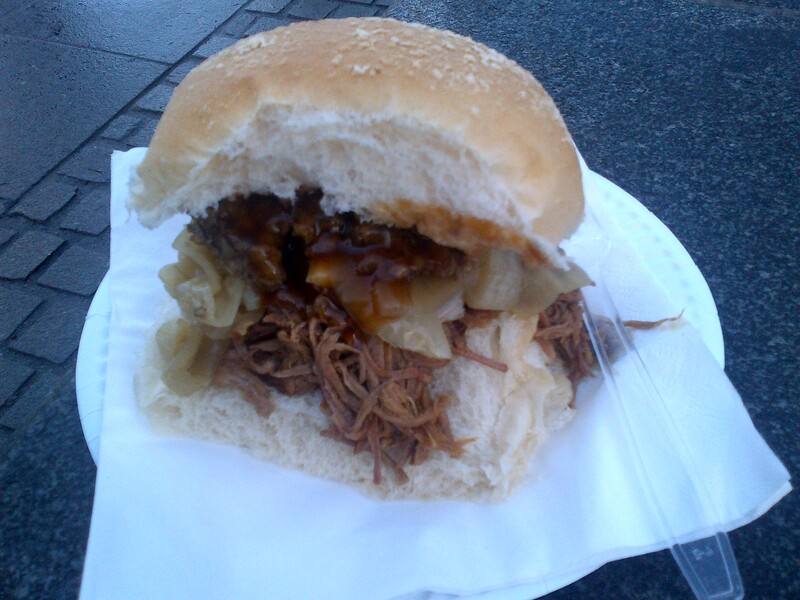 The main feature on their menu is slow-cooked beef brisket, served with onions, gravy and haggis (£6). Everything looked extremely impressive as the chirpy owner got to work assembling the meaty beast. It looked like a tie-destroying splatter-fest waiting to happen. Having paid the piper, I toddled to a nearby wall, to sit and eat. Remarkably, I spilt nary a drop of the stuff. The amount of gravy had been really accurately judged, so every mouthful was moist, without risking damage to the structural integrity of the morning roll. 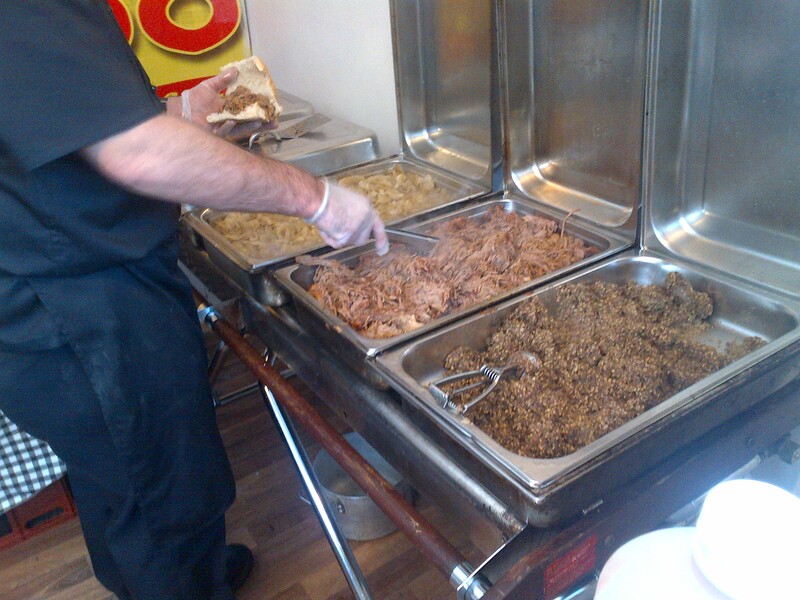 The beef was tender and flavour-packed. It put me in mind of wonderful steak pies from days of yore. The haggis brought peppery zing, and the onions a soft sweetness. It was a very good item, for sure. So overall, I’d definitely recommend a trip to Heilan Coo, over the course of the festive season. 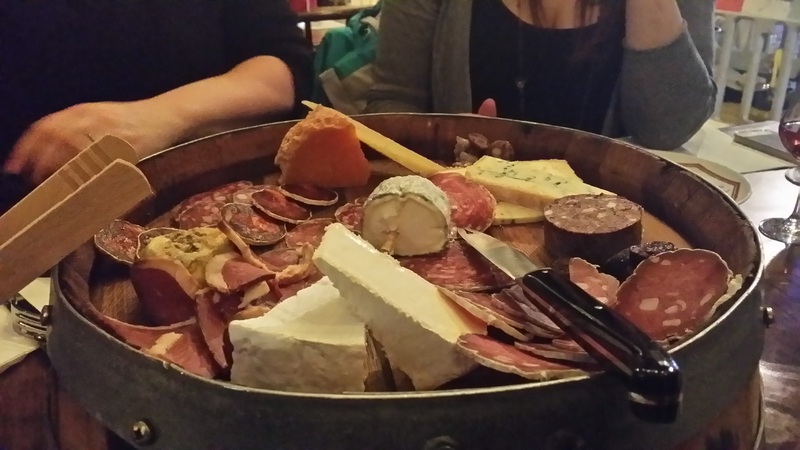 If you’re looking for a meaty treat to chase away the cold, this is the place for you.